A strategic plan responds to the need for cities for anticipate the future. The key therefore lies in the answer to these questions: Where do we want to go to? What kind of city do we want in the future? After establishing a strategy - in other words, the model of the city that we want to be - each and every one of us must pull in the same direction to reach our desired goal. 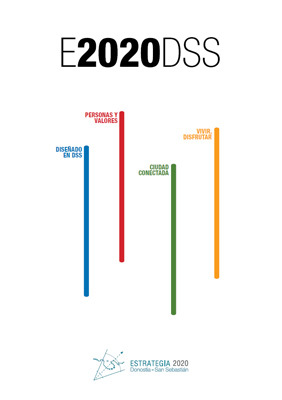 E2020DSS, Donostia/San Sebastián's Strategy in the run up to 2020, did not start from scratch but instead considered the 2010 Strategic Plan which involved a strategic shift towards a new model of city that is much more geared towards innovation and knowledge. As outlined in the 2010 Strategic Plan, the first plan was reviewed and assessed with a view to drafting a new frame of reference for 2010-2020. This paved the way for the city's second strategic plan, E2020DSS, which started to take shape between late 2008 and early 2009, in the grip of the crisis. The first strategic plan was deemed to be complete after its progress and journey had been evaluated positively, thereby justifying a second plan which would continue the work that had been carried out so far. The E2020DSS Strategic Plan was therefore conceived as a dynamic document which adapts to change and is a continuation of the city model which featured in the first plan. The new strategy must refocus on any aspects which have not been properly developed, and also further explore those which were reflected insufficiently in the first plan. The creation of the E2020DSS Strategic Plan benefited from the contributions of the main economic and social players in the city and the surrounding area and, in particular, from the Strategic Plan's Executive Committee and participants in the Sectoral Committees, whose contributions were crucial. The city of the future needs people like those who have made the city of the present a reality. Citizens who are responsible, active and trained to achieve global, changing evolution, which is only possible by means of strong values and social capital. Citizens who cooperate, who organise themselves, who lead the way in a life without violence and projects and who open the way to permanent, sustainable development. Thinking globally, in a world without borders, in order to be able to take action locally, but also thinking locally in order to act globally, on an open stage. The city needs to be “connected” to that international stage, but also to its metropolitan environment by constructing an “intelligent collaboration”. 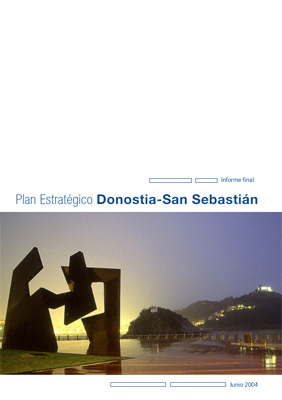 The 2004-2010 Strategic Plan for Donostia/San Sebastián involved a great deal of consideration as to the model for the city that we wanted at that time, and this period of reflection lasted over two years. It was a turning point which enabled us to define, prioritise and achieve the objectives, strategies and projects that were to be undertaken in Donostia/San Sebastián in the medium term in order to improve the quality of life of its citizens, boosting socio-economic development and social cohesion. A series of objectives, courses of action and projects for advancement were established based on the four strategic areas.